SBS Transit reported on Wednesday that its net profit for the second quarter rose 52.9 percent on-year to S$19.43 million, while revenue increased 19.8 percent on-year to S$344.92 million. Revenue from public transport services rose by 20.3 percent on-year in the quarter to S$330.1 million, it said in a filing to SGX after the market close on Wednesday. That was mainly on higher fees from higher operated mileage after the beginning of the Seletar Bus Package in March and higher ridership from rail services after the Downtown Line (DTL) three began operations in October 2017, it said. But it noted, the higher revenue was offset by a lower average fare after the fare reduction took effect on 29 December 2017, it said. For the second quarter, DTL average daily ridership rose by 80.6 percent on-year to 437,000 passenger trips, SBS Transit said. Average daily ridership for the North-East Line rose by 2.3 percent to 579,000 passenger trips in the quarter, while Light Rail Transit rose 8.1 percent on-year to 129,000 passenger trips, it said. “Despite the increase in rail ridership, rail operations continue to incur losses as the fare revenue is not sufficient to cover rising operating and maintenance costs,” SBS Transit said. 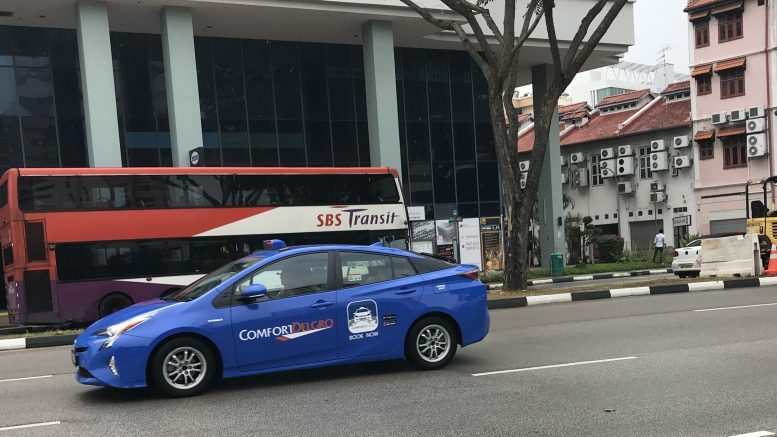 Revenue from other commercial services rose 10.7 percent on-year in the quarter to S$14.8 million, mainly on higher advertising revenue after the DTL three began service, it said. In its outlook statement, SBS Transit said revenue from public transport services was expected to be higher for both bus and rail. It noted that the Seletar Bus Package began services in March, while the Bukit Merah Bus Package is expected to begin operations in the fourth quarter of 2018. SBS Transit said rail services revenue was also expected to rise on the full-year contribution from DTL three, but the rail business would “continue to be challenging” amid the fare reduction and rising operating and maintenance costs. For the first half, net profit rose 57.7 percent on-year to S$36.19 million, while revenue increased 17.8 percent on-year to S$673.10 million, it said. The Singapore transit operator declared an interim dividend of 5.80 Singapore cents a share, up from 3.65 Singapore cents in the year-earlier period.